In several ways, the Qur’ān presents itself within a true Abrahamic tradition that has been compromised. It accuses Gentiles, Jews, and Christians respectively, individually as well as summarily, of a series of transgressions whose precise nature has been subject to much recent discussion : among them are scriptural or exegetical distortion (taḥrīf ), impure monotheism (shirk), and denial of revelation (kufr). It also portrays its religious criticism in terms of a return to the Abrahamic origins of true monotheism. Finally, it repeats and reshapes traditional material. Understanding the Qur’ān therefore necessitates an appreciation of how it balances continuity and change in what it negates and in what it affirms. In modern scholarship, efforts to portray the Qur’ān as in dialogue with previous religious traditions have yielded important insights. 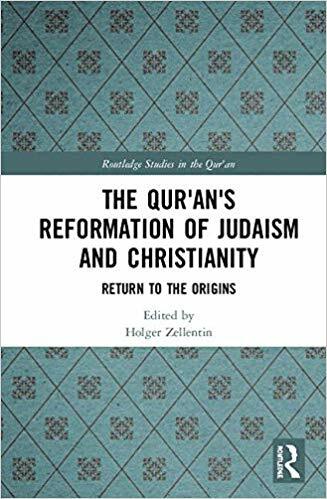 Likewise, scholars continue to emphasise correctly that one must understand the Qur’ān on its own terms and in clear distinction from previous traditions. Both tendencies are combined, with different emphases, in several recent publications, among them the recent volumes edited by Gabriel Said Reynolds, as well as the co-edited volume by Angelika Neuwirth, Michael Marx, and Nicolai Sinai. These and many other studies illustrate the potential of integrating “literary” and “historical” approaches.